In fill development opportunity, not to be missed!! Over 2000 sqm of land on 2 Titles with 2 separate dwellings. You should be able to achieve a density of 11 townhouses, comprising of 6 x 3 bedrooms and 5 x 2 bedrooms, with an average size of approximately 16 squares. 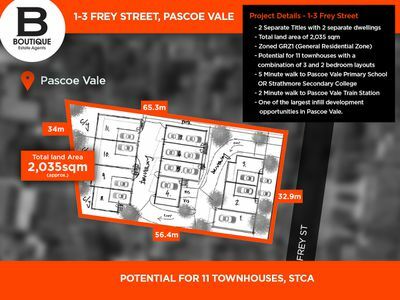 Our specialized sales team in the Pascoe Vale townhouse market estimate that on this basis the project should yield between $8.5 to $9.3 million in sales revenue. For more detailed information from our Architect on the sites potential or our sales feasibility we are available to discuss. The natural fall and size of the land will allow for a curved shape driveway, more dwelling independence and sensational views from each individual unit. 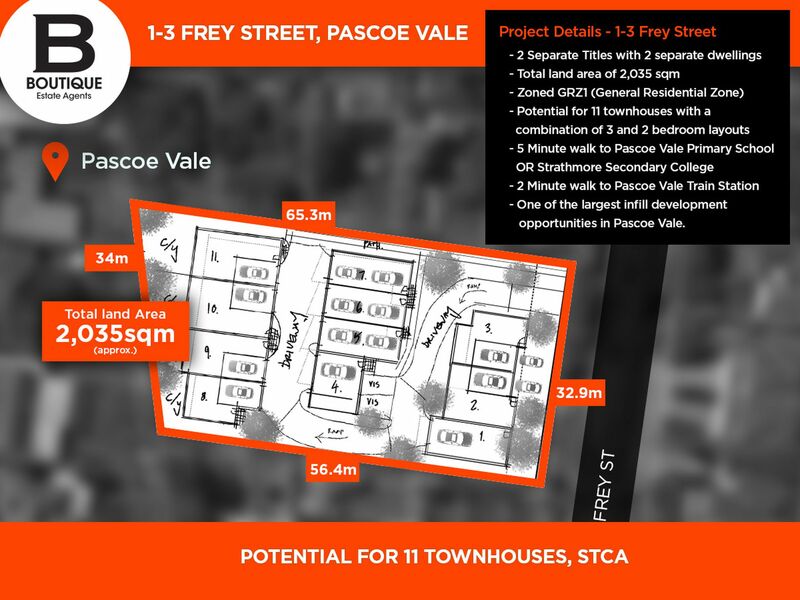 The site will also be exceptionally visible, so if you want to make your mark on Pascoe Vale then look no further. 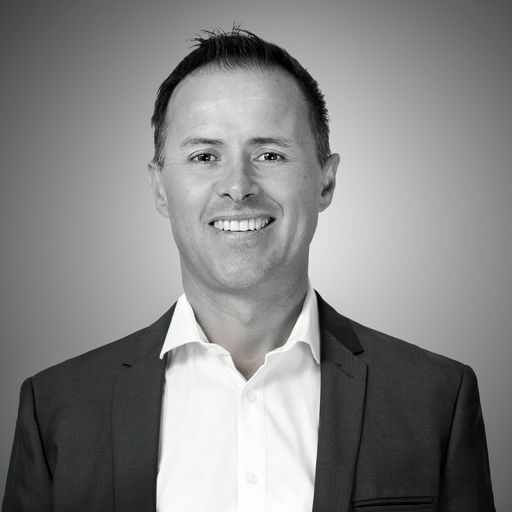 Our vendors are realistic and offer the potential for a flexible settlement. GreensboroughFor Sale: Developers Pay Attention!